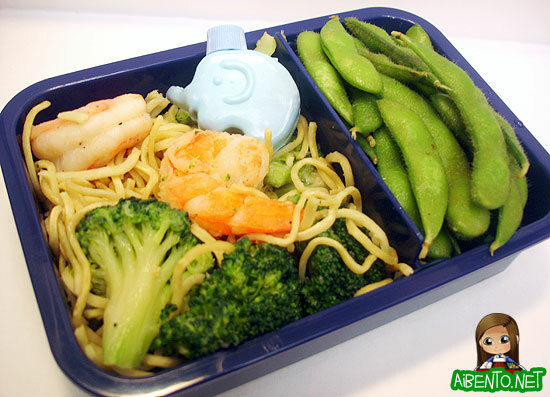 So anyway, this morning I nabbed some of my freezer food, nuked it, and woot, a quickie bento. I love this freezing food thing, it’s so convenient and efficient! My photos are getting rather bad, so I’ll need to go look into getting better lighting somehow. The stove lights are just not cutting it anymore!